Great to be here in Whistler for my two days mountain biking. It was an amazing trip up here – I was told the Sea to Sky Highway was something special – it certainly is. Imagine a four lane highway alongside a fiord, swooping up and down to take in enormous views. 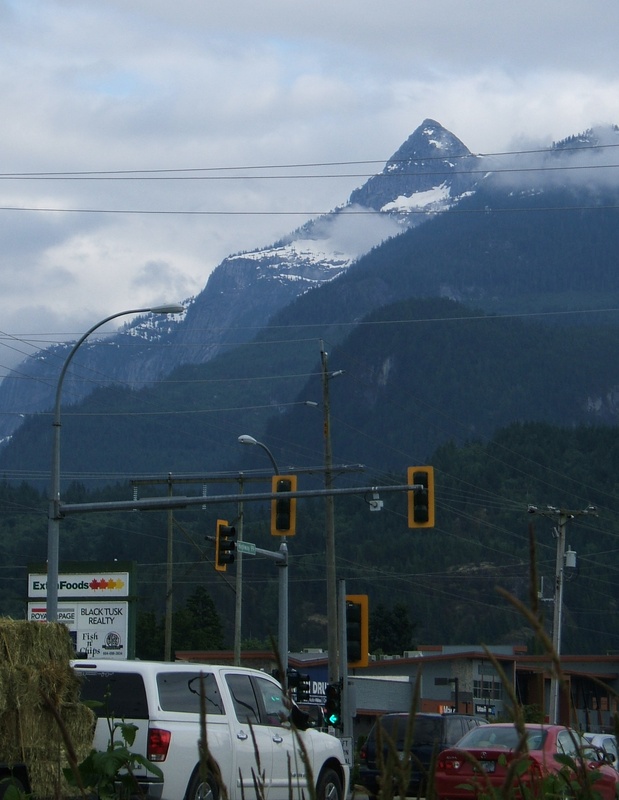 And then at Squamish we turn in towards the mountains for the first time, following the valley up to Whistler. Arrival at the Alta Vista Chalet last night, home of Bear Back Riding, my hosts for the next two days. 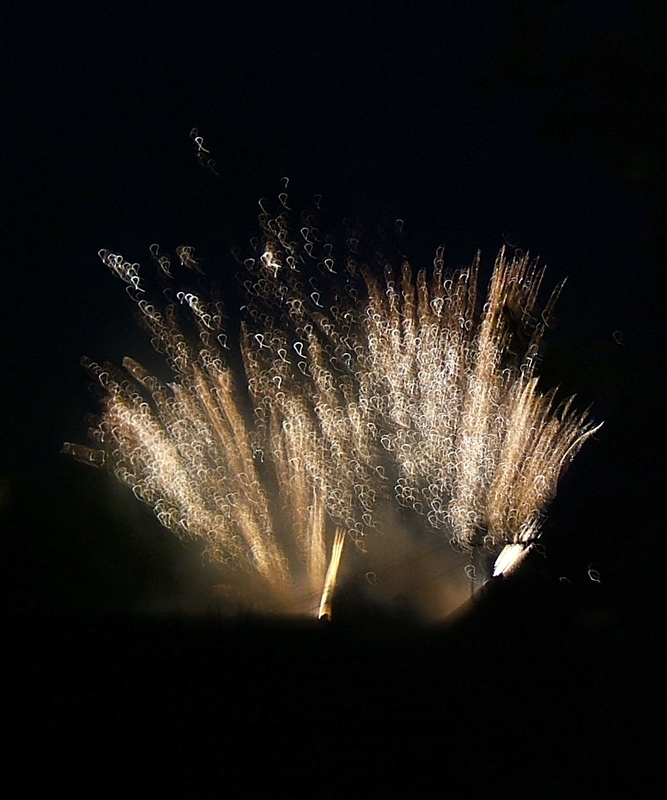 The welcome was warm, the food was excellent and it was also good to bike up to the Village to see Canada Day fireworks on the mountain. Probably didn’t need to worry. Full suspension bike from one of the many rental stores in the Village which frankly rides better than my bike at home. My guide Jamie took me off to the Lost Lake trail area which I gather is the testing ground for new arrivals. I had an excellent day – 3 hours with Jamie in the morning and then another two hours after lunch on my own to freshen up my skills. The trails selected were about right for my ability although I got absolutely infuriated with myself because I couldn’t get up anything technical at all. As soon as a few rocks or roots got in the way I seemed to just stall. In the afternoon I felt much better. The trails were probably “Red” by UK standards which is just about my limit at the Seven Stanes or centres in Wales, so that worked really well. 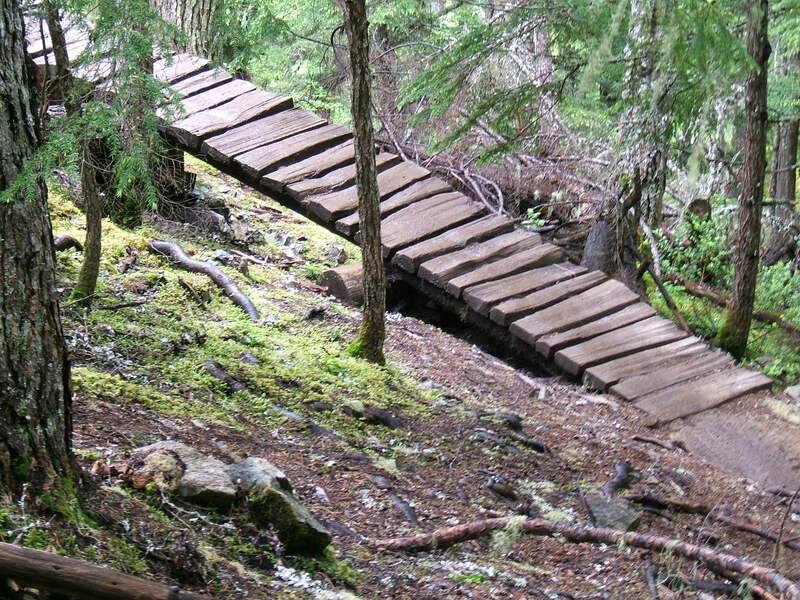 What I haven’t ridden much are the wooden bridges as I don’t ride North Shore at home but these were really not slippery given the awful conditions. Best named section “Pinnocchios Furniture” – because this boy is made of wood. Not many photos today as the weather wasn’t very good for views but I have stocked up a few for a blog post about Whistler itself tomorrow. Interesting to compare such a bike mecca with the transport cycling towns that we have been discussing last week – this is a whole different outlook. 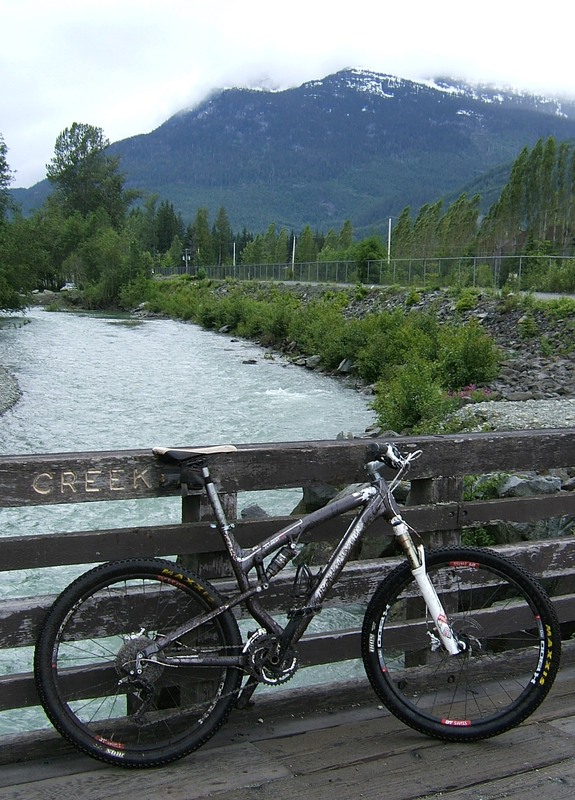 This entry was posted in Countries, MTB, Travel and tagged canada, mountain biking, MTB, Visits, Whistler by kevinmayne. Bookmark the permalink.